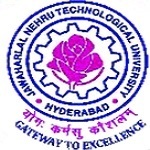 TS ECET 2019 Answer Key will be published by the authority of JNTU through online mode. TS ECET is a state level entrance test organized every year by Jawaharlal Nehru Technological University. Through this entrance exam candidates are offered admission into lateral entry in B.Tech, B.Pharm, B.E and B.Sc (Mathematics). Candidates must qualify the entrance test with qualifying marks to get admission into various colleges/institutions in Telangana. In this article we have provided complete information related to TS ECET Answer Key 2019. TS ECET 2019 Answer Key will be released by the University after the completion of entrance exam. With the help of the Answer key, students will be able to calculate their expected score of the entrance test. The Answer Key released will contain correct answers of the questions asked in the entrance exam. Students can check the answer key by online mode through the website.The Answer key will be released for all questions papers and students have to note down the paper code before downloading the Key. Candidates can also submit objections/suggestions for the Answer key in case of any error in the answer key. Visit the official website of TS ECET. Click on the link given on the website to download “TS ECET 2019 Answer key”. On the website candidates will be able to check answer key for various subjects. Click on the test booklet code and subject. Download the answer key and match the answers of it with your attempted answers. With the help of TS ECET 2019 Answer Key and the marking pattern of the exam, candidates will be able to calculate score obtained in the entrance test. According to the marking scheme, the question paper will be of total 200 marks. For each correct answer, candidates will be awarded with +1 mark. No marks will be deducted for wrong responses. To calculate the expected score of exam, candidates have to just match the answers with the Answer Key and award themselves with +1 mark for every right answer and then estimate their rough score. After downloading the Answer Key of TS ECET 2019, candidates can also claim errors or make objections/challenge the Answer Key. Candidates can report error in the Answer key through online link which will be provided on the website. The Board will consider the objections made by the students only before the last date i.e. third week of May 2019. The authority will consider the suggestions/objections and make necessary changes after examining the answers. TS ECET 2019 Answer Key will be published on the website after the successful commencement of exams. After the release of Answer key, the Board will declare the TS ECET result 2019 on the website. If you have any query related to TS ECET 2019 Answer Key, you can ask your query in the comments section provided below.